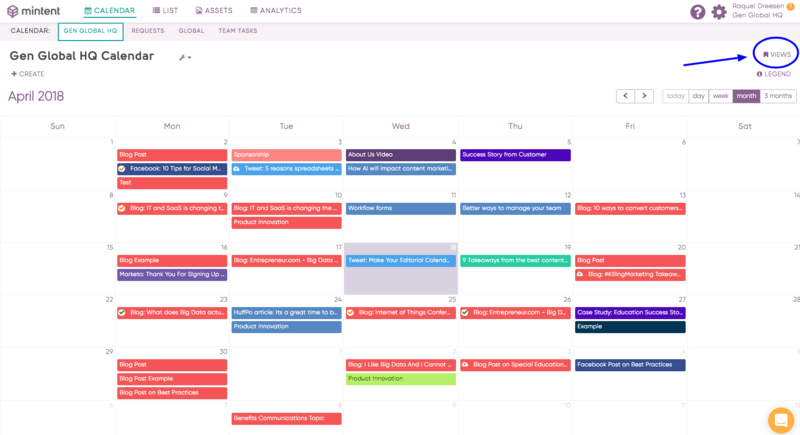 You can edit the view of your calendar to by filtering specific content types, campaigns, or any other fields. Use the Views option on the top right of the calendar, to access your Saved Views. You can use filters based on fields that you have in your creative briefs for content types. Select the filters you want. Add a title to your filter and then click Save. 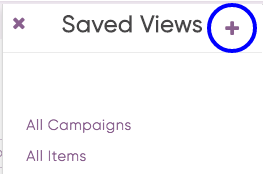 Once you have saved, it will be available under your List of Saved Views.